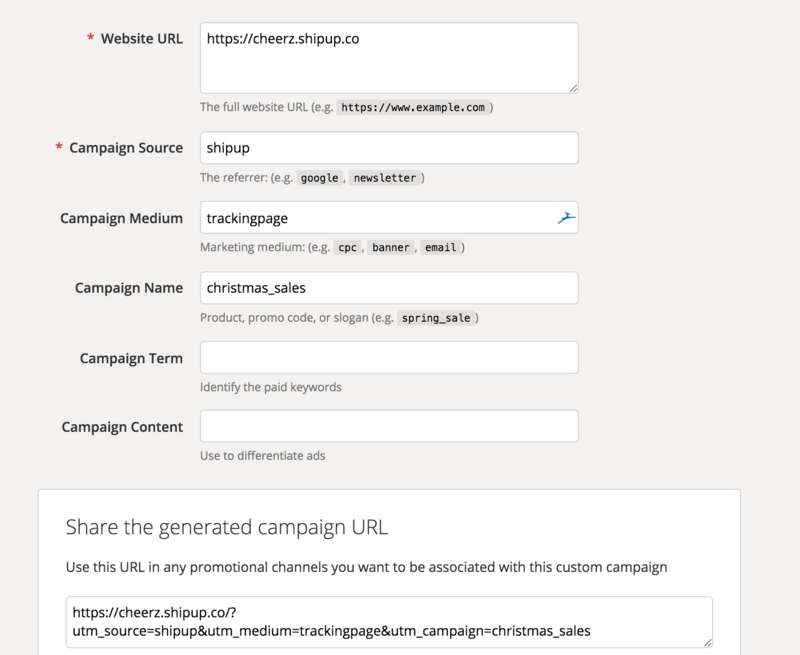 To see how your customers engagement through their Shipup utilisation, you can create custom campaigns with UTMs. An UTM (Urchin Tracking Model) enables you to track your customer through a simple URL source. With Google Analytics you can collect information about the overall efficacy of your campaign. for emails, you can add the new URL in the "edit email templates" settings. for your tracking page, you can remplace the existing URL in the setting menu by the one created. for feedbacks, you can remplace the existing URLs by the new ones in the setting menu. With the new URLs, you can see if your customers open the survey link sent once they receive their package. In addition with Shipup's statistics, you will find further information on Google Analytics (Acquisition >> Source/Support) to categorize your customers' use. UTM is a very practical tool to understand and improve your digital marketing !